Do you think Minecraft, has only few mobs, with which let off steam after a long day? Well here is the solution. 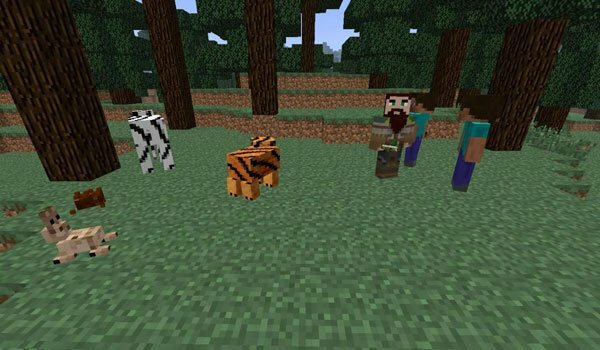 More Mobs 1.7.2 and 1.7.10 offers you over 31 mobs with which you’ll encounter when exploring Minecraft. Ones will be benevolent and others will on sight are upon you. They include humans, animals, monsters, mobs of “The End” and mobs for the Nether. How to install More Mobs Mod for Minecraft 1.7.2 and 1.7.10? More than 31 mobs to your Minecraft worlds!